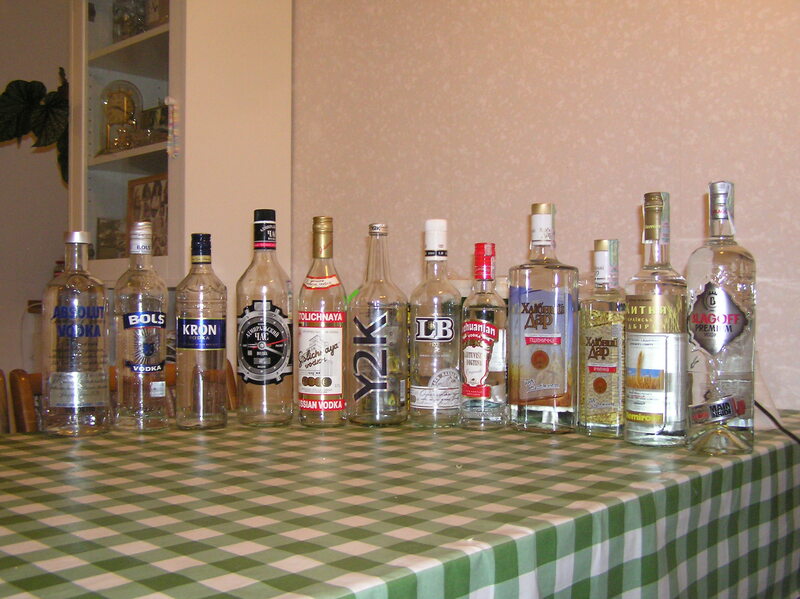 A collection of my ([Hedda]'s) vodka bottles. 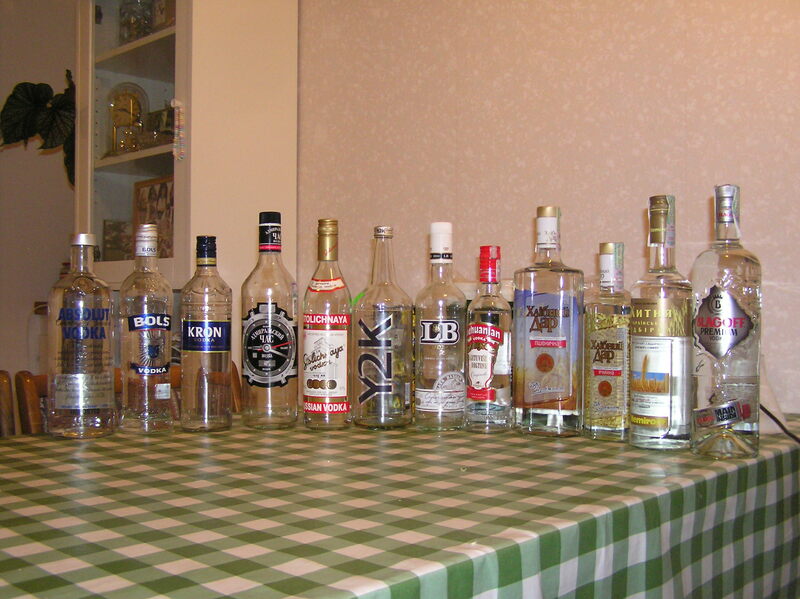 Ukrainian Vodka: Hlibniy Dar, Hlibniy Dar smaller bottle, Nemiroff, Blagoff. Some more shots (!?!) of the same bottles. 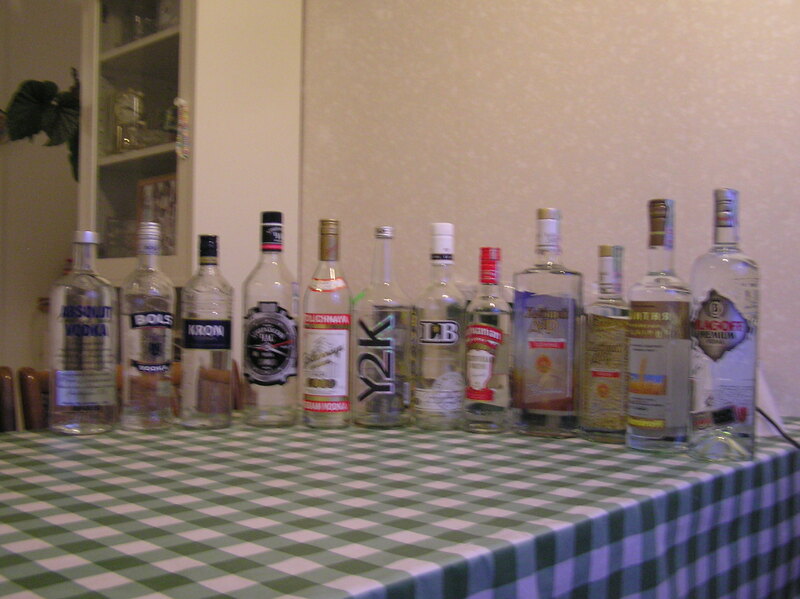 2008-05-19 [Hedda]: I don't drink that much vodka actually... It's so expensive here. 2008-05-29 [fraindamage]: in the british virgin islands its like $11 a fifth of any alcohol u could think of and the drinking age is 18, so i got legally drunk on a week long fishing trip and i cant remember being sober the entire time i was there because the prices were so low and it was legal. lol. good times. 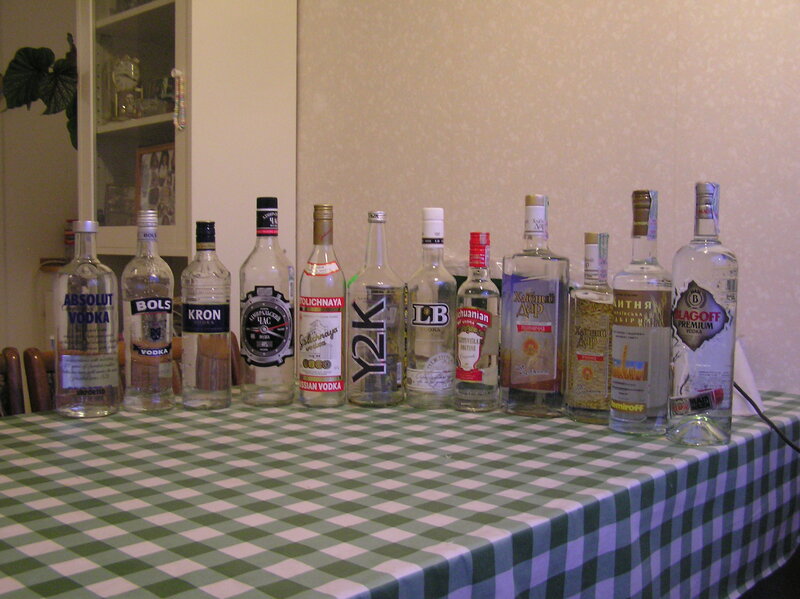 2008-05-31 [Hedda]: I bought the vodka in Ukraine for about $5 per 1 litre bottle, but there were cheaper ones.